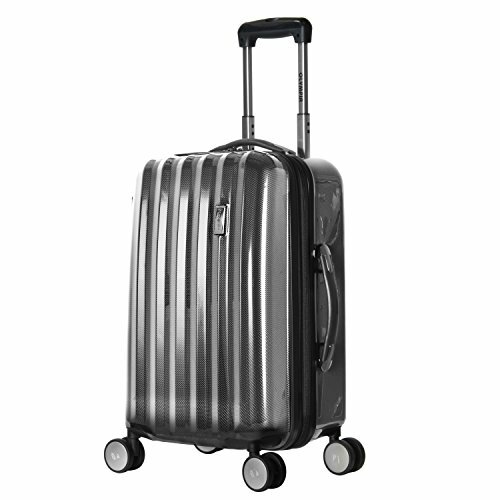 Constructed of durable polycarbonate and finished with a carbon fiber pattern, this great looking 4 wheel spinner carry-on allows free movement in all directions and is made for the long haul. The hideaway push button retractable handle makes this an easy case to travel with. Expandable for added packing capacity.